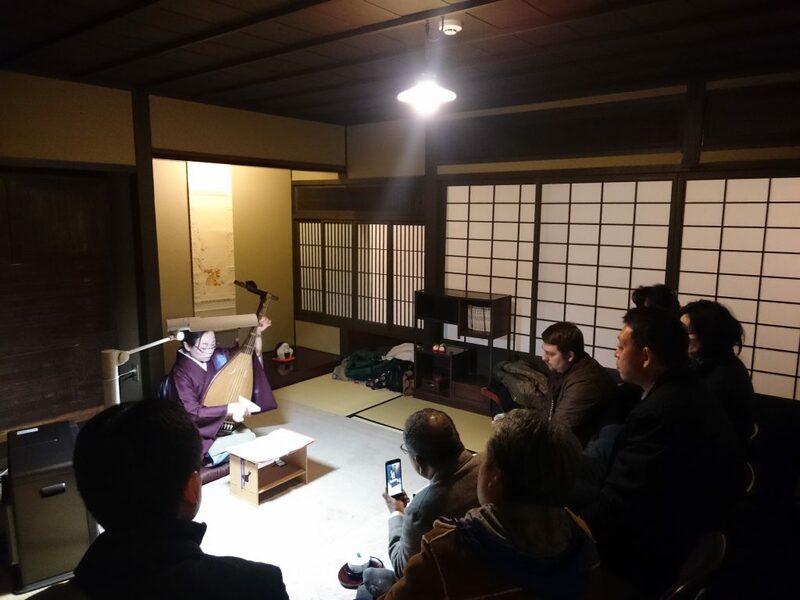 Let’s have a fun night at Machiya, traditional merchant’s house which is designated as Fukuoka cultural assets with Japanese music and dance. Delicious Bento, boxed dinner is included. You will enjoy watching a Japanese traditional instruments show among a Japanese style dance, a Japanese harp live, a Japanese lute live, a Japanese flute live, shamisen live, Japanese drum live. All the show is very nice and recommended so please look forward to what you can watch. If you would like to watch a particular show, please let us know by e-mail. By Subway: get off at Gion station (5 min. walk). By Bus: take Nishitetsu bus and get off at Gion-machi stop (5 min. walk) or at Canal City Hakata-mae stop (3 min. walk). Reservation required: Until 2 weeks before.